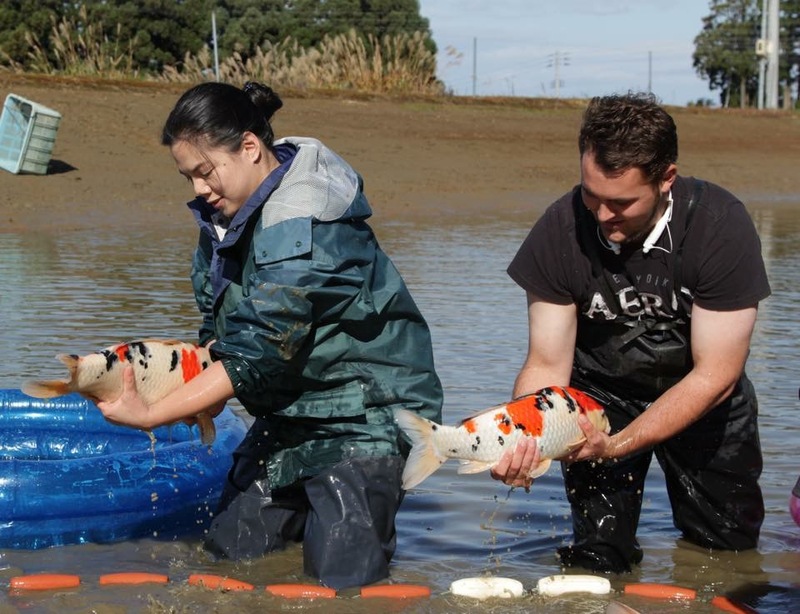 The best nisai harvest at Marudo Koi Farm is a stark contrast to the Jumbo Koi harvest at Isa Koi Farm. Inviting few to no people to come watch them harvest Koi, they would rather have all their customers wait for them to return from the mud ponds at the greenhouses where they they release the Koi for sale. Since Devin was previously staff at Marudo Koi Farm for three years, he was invited to come to the harvest and be among the first to view the Koi coming out of the mud. 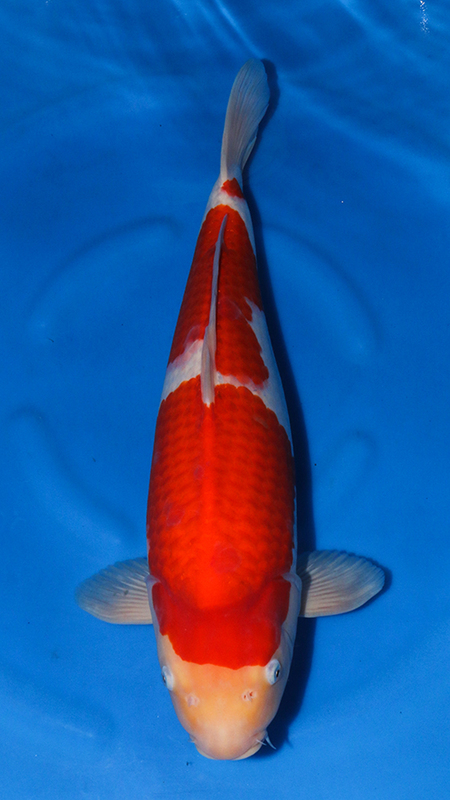 From the first day, we purchased two very special nisai Kohaku featured in the video and we are so excited to share them at Koi Acres’ this spring! If you thought the Kohaku were impressive, check out those Sanke! Devin and I reckon this batch is the best nisai from Marudo Koi Farm ever. 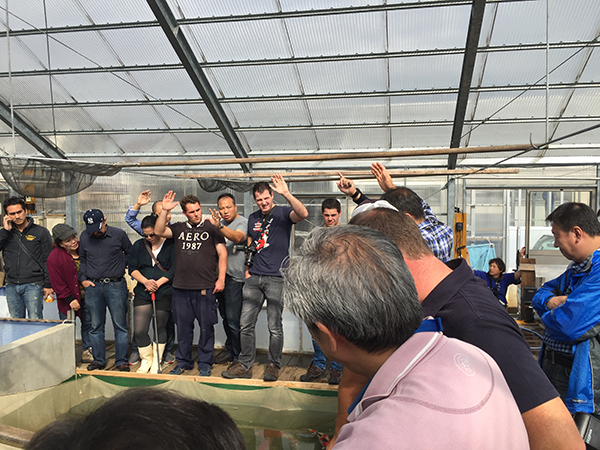 When the freshly harvested nisai are brought into the greenhouse for sale, Marudo Koi Farm does a very unique and smart way of opening sales. 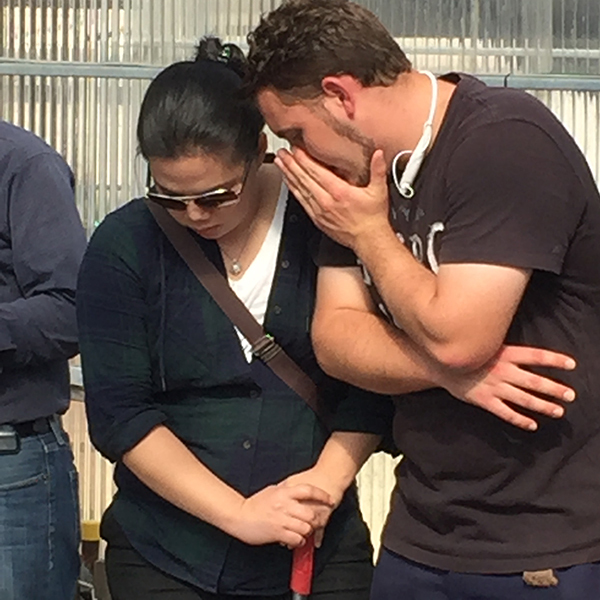 After allowing customers to view the Koi for a good 15 minutes to a half hour, he then asks for a show of hands from the people interested in buying Koi. Based on the number of people picking out fish, he then puts the same amount of numbers in a hat for everyone to pick out a number. Then in ascending order, people get to choose one Koi each in the first round based on the number they get starting from one onward. If you would like to choose a second fish, the order of selection goes in descending order from the number that you pick. So, if for example you pick out number 1 out of 10 people, you might be the first one to pick in the first round, but you would be the last one to pick in the second round. 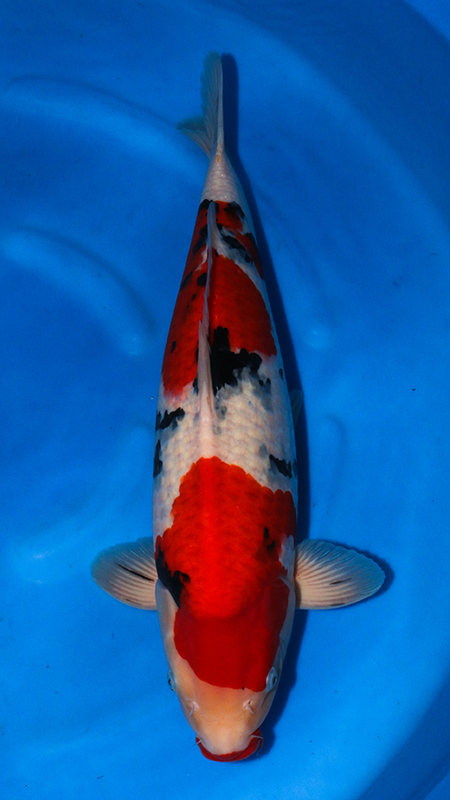 This method of Koi sale is both a very smart and fair way of selling Koi that so many people are interested in buying. As you can see from the photo, there were a number of people present and many of them had their hands raised to indicate their intention to buy fish. This is also a very challenging way of purchasing Koi because all the new nisai Koi are all bunched up in the seine net so you have to be both quick and smart about how you select which would be your first pick, second pick and so forth. 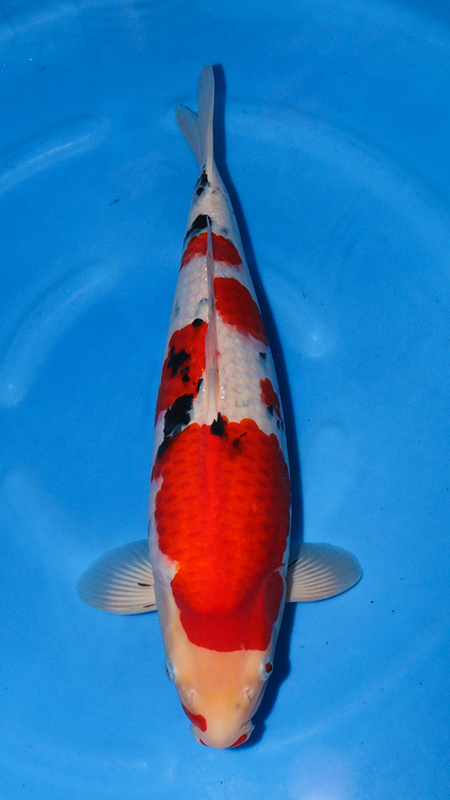 Selecting Koi alongside you are typically the top Koi dealers from around the world, so you would be wise not to take too much time selecting Koi. Naturally, prices vary on each of these Koi, so you are basically selecting Koi and hoping that they are all within your budget. 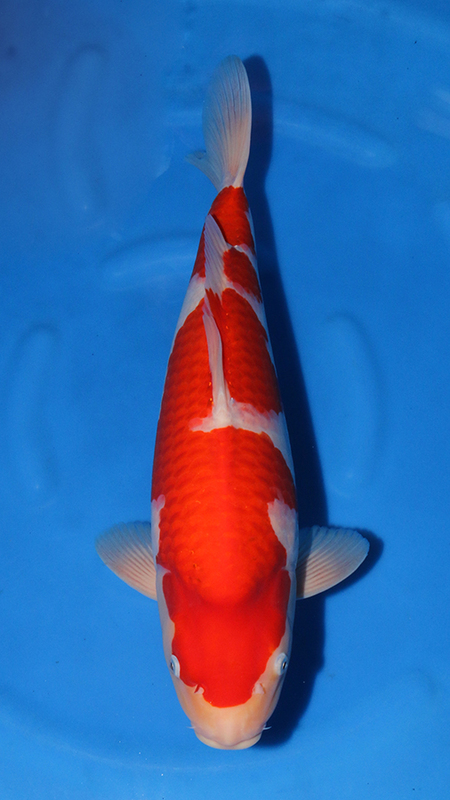 Once your selection has been made, Sacho (big boss) will look at your selection and determine price based on the level of Koi that you purchased. All this sounds quite stressful, I know, but it is quite fun and it does keep you on your toes! It’s almost like playing poker, especially when you see a Koi that you really like and you’re holding a number that is less than desirable. You then start talking it down to other people hoping that they will take the bait and ignore the fish you’ve been eyeing for the past half hour!